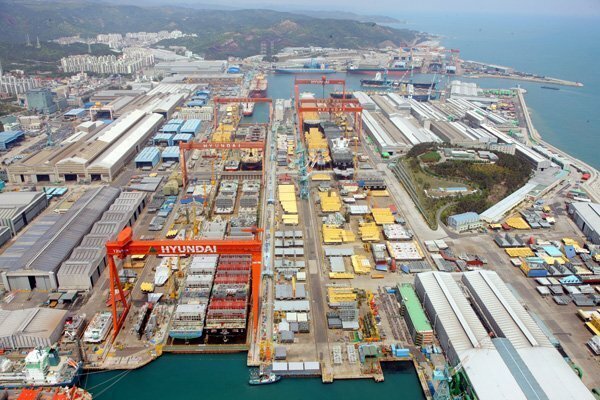 It was around a decade that Korean’s big three shipbuilders – Hyundai Heavy Industries (HHI), Samsung Heavy Industries (SHI) and Daewoo Shipbuilding & Marine Engineering (DSME) – took the decision to move up the shipbuilding food chain as they realised they could no longer compete with China for the bread and butter orders that had long been the bedrock of their success. I recall one Hong Kong owner returning from a trip to Ulsan to visit HHI, the world’s largest shipbuilder, with a bemused look on his face – the yard had just delivered a capesize, and had no more capes on its orderbook, even though rates for that ship type were red hot. Offshore, LNG and big boxships became the order of the day for these three giant yards – innovate or starve in the face of aggressive, hungry Chinese shipbuilders. The Koreans rejigged their yards and building schedules accordingly. In the following years they built some of the largest, most complex floating structures ever conceived, all paid for by a triple figure oil barrel price. Their orderbook became increasingly weighted in favour of offshore. Profits soared. Even VLCCs, for which DSME in particular is famous for, were shunted off the menu. Now that we are in into the 13th month of oil being below $100, the shine has dramatically come off these three yards. Losses are stacking up in dramatic fashion – each of them coming in with eye watering figures. HHI, for example, made a $2.93bn loss of 2014 and its red ink has since spread further in the first half this year. Unlike building a VLCC or a capesize, Koreans tend to be reliant on Europeans and Americans for design and equipment when it comes to offshore platform construction, which impacts profitability. Production delays and indeed cancellations have rocked the trio’s normally precise delivery schedules – and looking ahead some planned delivery slots may well open up, meaning VLCC owners in particular should be wary of the supply/demand balance swinging the wrong way. At least, however, SHI, HHI and DSME are able to offer LNG and big boxships, both of which continue to be in strong demand. Pity the poor Singaporean yards – their eggs are all in one basket – and to mix metaphors – their goose might finally be cooked if the oil price rout continues for another couple of years.